Inclusive package for inclusive study. An accompaniment to the Vernier Charge sensor, this kit enables the inquiry and examination into a wide range of experiments in electrostatics. Measure charge in a quantitative and qualitative manner, and see how friction, induction, and the contact of two objects can vastly affect its charge. 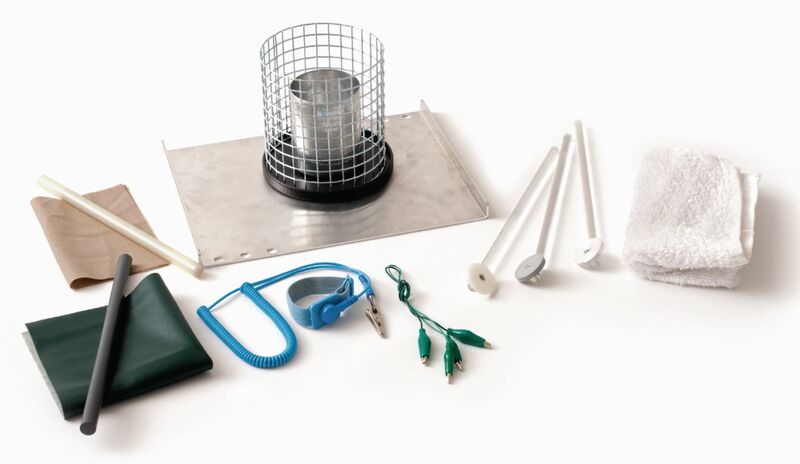 The kit includes everything you need for deep exploration- a Faraday pail and cage, grounding wires and plane, a wrist strap, a proof plane, and the following charge producers: wool, vinyl, a PVC rod, a nylon rod, and cotton cloth.